Learn how to rip the DVD Real Steel from Disney on computer. 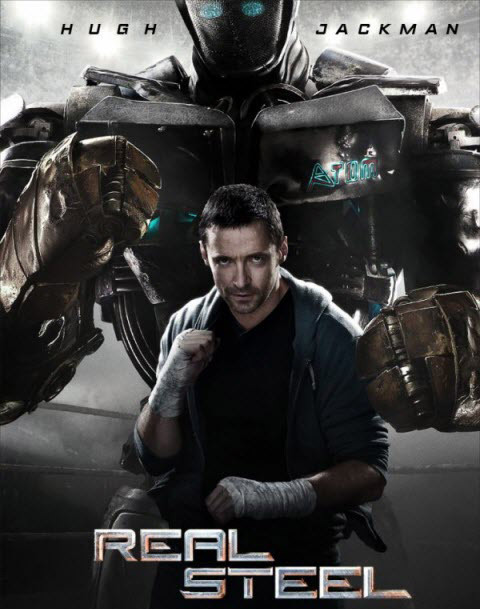 The DVD of Real Steel was distributed by Touchstone Pictures of Disney on Jan 24, 2012. The plot is simple but appealing and the songs in the movie are pure but affecting. The acting skill of little Max performed by the new actor Dakota Goyo was extremely impressive. It is said "If You Get One Shot, Make It Real". If you get one Real Steel DVD, make it distinct. How to make the Real Steel DVD distinct? You can share this movie DVD with all your friends, you can make a special edition of Real Steel video by adding some interesting characters therein or combining it with your own pictures and videos, you can also carry this video with you to watch it on your iPad/iPhone high-pixel display. Yes, you can make it real and distinct by only ripping Real Steel DVD with some dedicated latest movie DVD ripper in the market. But you may notice that Real Steel DVD is produced by Walt Disney Pictures. And if you have general knowledge on this, you may know that Disney protected DVD is extremely hard to rip. Why Is It Hard to Rip Real Steel DVD? Why is it hard to rip DVD Real Steel to a digital video copy onto hard drive? That's because Disney, one of the famous film publishers in the world, always challenges common DVD ripping software by introducing the new generation DVD copy protection system and the most advanced encryption technology worldwide to crash most DVD backup programs in the market. Disney released DVD always has 99 titles and over 40GB movie size. So that is to say, in common sense, backing up DVD Real Steel is just like a mission impossible. However, there is a DVD ripper called WinX DVD Ripper Platinum (already well-known to the public) that can easily rip DVD Real Steel to MP4, AVI, WMV, FLV, MOV, MPEG, or any other mainstream video formats, and help you playback the DVD movie of Real Steel on iPad mini/the new iPad, iPhone/5/4S, Android device, Kindle Fire, WP8 mobile/pad, PSP, etc. with cutting-edge technology. It is capable of facilitating better enjoyment of hottest movies for all DVD owners. How to Backup and Rip DVD Real Steel? After downloading the Real Steel DVD ripper, you can begin to rip this DVD immediately for more convenient playback or further edition. Step 1: Install and run WinX DVD Ripper Platinum on your computer (Mac version is also available), and then insert the DVD Real Steel into your DVD-ROM. Step 2: Select an output profile. WinX DVD Ripper Platinum supports 350+ output profiles. You need to figure out which format or target device you want to choose. If you have purchased the new iPad, WinX DVD Ripper Platinum can also assist you in conveniently ripping Real Steel DVD to the iPhone with its ready-made new iPad profiles. Step 3: Click Browse button to choose where to store the output video after finishing ripping Real Steel DVD. Step 4: All is ready, just click RUN button to begin. Do you have any other hot movie DVDs? If yes, you can also find them and make backup copies. The programs provided by Digiarty Software Inc. are capable of backing up DVD The Hunger Games, converting DVD Men in Black 3, ripping DVD The Avengers, decrypting DVD Ice Age: Continental Drift, ripping DVD The Dark Knight Rises, etc. Note: Please respect the copyright law in your country. It is illegal to rip or copy DVDs for commercial use. You are only allowed to make a DVD copy of copyrighted material for personal use under the concept of Fair Use. Part 2Why Is It Hard to Rip Real Steel DVD? Part 3How to Backup and Rip DVD Real Steel?